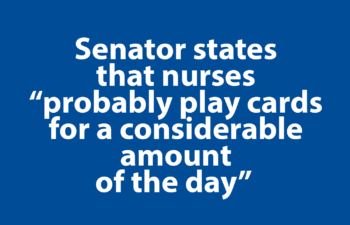 Nurses make outstanding elected officials – bringing a deep knowledge of the health care system, excellent critical thinking skills and a strong ability to build relationships. That is why WSNA is always excited when members step up to run for office at any level. This year, we are proud to support two WSNA members running for office in the 34th legislative district, which covers West Seattle, Vashon Island and Burien. Both Sofia Aragon and Lois Schipper are running for the open Senate seat, currently held by Senate Majority Leader Sharon Nelson. Sofia Aragon serves as the Executive Director of the Washington Center for Nursing (WCN), an organization established by WSNA and other leading nursing organizations to address the nursing shortage. 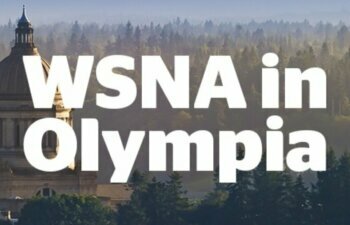 Prior to joining WCN, Aragon was a senior governmental affairs advisor at the Washington State Nurses Association. Aragon also spent a number of years at the Washington State Department of Health, serving as the legislative and policy manager for the Community and Family Health Division and as the contracts manager with HIV Client Services. She has held direct-care nursing positions with Providence Medical Center and the Rainier Park Medical Clinic in Seattle. Additionally, Aragon has served on Governor’s Commission on Asian Pacific American Affairs, as president of the Washington chapter of the American Association of Nurse Attorneys, and is a member of Filipino Lawyers of Washington. She is a current board member of the Washington Low Income Housing Alliance. In 2014, Aragon was recognized as a “Heroine of Health Care” by the Center for Women and Democracy. In 1975, Aragon immigrated to Seattle with her parents – her mother was one of the many hundreds of Filipino nurses recruited to practice in the United States. Aragon credits her journey in nursing to her mother, and her journey in advocacy to her experience as a registered nurse advocating for patients. The desire to be a stronger patient advocate led her to pursue a law degree and to engage in health policy at the state level. Aragon is a graduate of Issaquah High School and earned a degree from the University of Washington and a Bachelor of Science in Nursing from Seattle University. She holds a law degree from the Loyola University – Chicago School of Law. Lois Schipper has spent the majority of her 30-year career working in Public Health and Community Health Care, in both direct service and leadership roles. Much of her work has focused on underserved and low-income women and their children. While working for Public Health – Seattle & King County, Schipper led evidenced-based home visiting programs for pregnant women and children, oversaw the Parent and Child Health Program and served as the administrator of the White Center Public Health Clinic. Schipper currently manages the Patient Navigation Program at Seattle Children’s Hospital. This program is located in the Center for Diversity and Health Equity and helps non-English speaking families understand their child’s complex health condition and partner with the medical team to support and optimize their child’s health. Additionally, Schipper has been active in her community, serving as Diversity Chair for the 34th District Democrats and as PTSA Legislative Chair. She led the bond and levy committee for her local school district for almost a decade, successfully passing bonds and levies to support teachers and schools. A long-time member of WSNA, Schipper has served on negotiating teams and previously served as the Chair for a bargaining unit. Until this Spring when she announced her Senate run, Schipper also served as a member of the WSNA-Political Action Committee Board of Trustees. Schipper holds a Bachelor of Science in Nursing from Ohio State University and a Master’s in Public Health from the University of Minnesota. She served in the Peace Corps in Mauritania, West Africa, where she worked with malnourished children as a Maternal and Child Health Nurse. Note: The WSNA-PAC has also endorsed candidate Shannon Braddock in this race.